Bulk Import Products by ASIN & Backup your Store Products! You can now add hundred of products at once into your store by ASIN codes! Also, you can backup your current amazon store products by ASIN as well! Allow sorting of the search (in bulk import) by Sales rank, Newest arrivals, Price rank, Bestsellers, Featured items, Review rank, Relevance rank, Alphabetical: A to Z & much more depending on category! WOOCommerce Amazon Affiliates – WordPress Plugin is a product that allows you to import Amazon products in your WOOCommerce store in no time! One time setup in just couple of minutes using wordpress platform and import products directly from amazon in just a flash! How would you like to import thousands of products from amazon in your WOOCommerce store in just minutes? 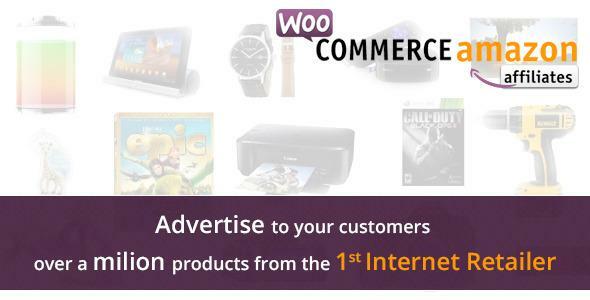 Share the post "WooCommerce Amazon Affiliates"